Losing fifty to a hundred hair shafts on a regular basis should not be a cause for alarm. However, you should be alarmed when you lose hair strands more than the said amount. Hair loss, may it be permanent or reversible, is triggered by various factors. With that, it is important to identify the root cause of the problem so as to find the suitable hair loss treatment that is best for your condition. Keep in mind that prior to any treatment, the underlying cause of the problem must first be determined. Genetics — All of us are genetically susceptible to hair loss and hair thinning problems. Some people have a built-in trigger that causes the follicles to grow smaller and even shut down with age. Aging. Hair loss and hair thinning problems increase likelihood with age. Statistically, 2 out of 5 men and 1 out of 5 women suffer from hair thinning and hair loss problems at the age of 20–30. Studies also revealed that by the age of 60, 65% of men suffer from hair loss and by the age of 35, 40% of men have noticeable hair loss. Fortunately, age-induced hair loss is often reversible by hair loss treatment methods. DHT (Dihydrotestosterone). DHT is believed to be the major cause of hair loss among men and women. This hormone is produced in the body in different quantities by different people. People have different susceptibilities to the effects of this hormone; these differences are programmed within our genes. Illness — Hair loss caused by illness or medical conditions is also often reversed when you recover from the said illness. Medications. Hair loss is one of the many side effects of chemotherapy drugs which are used to help treat cancer. Other medications for health conditions like bipolar disorder, acne, and depression can also cause hair thinning problems. Mechanical. Trichotillomania, an impulse-control disorder that triggers the compulsion to pull or twist the hair may cause permanent hair loss. Diseases. Hair loss may be a symptom of a disease. Hypotrichosis, seborrheic dermatitides, hyper- and hypothyroidism, and lupus are some of the diseases that trigger the onslaught of hair loss. Lifestyle — Unhealthy lifestyle choices like having a poor diet, lack of exercise and sleep, bad hair care habits, smoking, and excessive drinking can cause hair thinning problems. Stress. Too much stress can make way for exhaustion and tension that can negatively affect the mind-body physiology, including the hair. Stress constricts the circulation in the scalp causing improper nutrient supply to the hair roots, thereby weakening the hair follicle and causing hair fall. Hair Treatments. Hair permers, hair dyes and gels weaken the hair, causing breakage. Overexposure to heating styling tools like blow dryers, straighteners, and curlers also cause hair dryness and hair breakage. Malnutrition. The lack of nutrients in the diet can cause hair fall, hair thinning and hair loss. 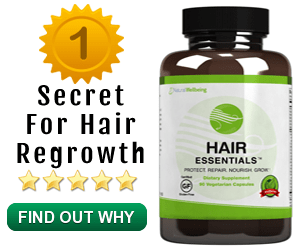 Hence, one of the simplest and the most natural hair loss treatment methods is to have a well-balanced diet rich with essential vitamins and minerals for healthier hair regrowth. Hairstyles. Hairstyles like braids and cornrows when done tightly can lead to hair thinning problems. Hormonal Imbalance — Hormonal changes due to pregnancy and menopause may trigger the onslaught of hair loss. Pregnancy. During and after pregnancy, the chemistry and hormones of a woman’s body change. Throughout pregnancy, women may experience thicker and shinier hair. However, 2–3 months after childbirth, hair loss may occur. Postpartum hair loss is a temporary problem; as your hair returns to its normal cycle, you will eventually experience hair regrowth. Menopause. Menopause is a stage in a woman’s life wherein the levels of the female hormone estrogen and progesterone fall, giving way for hair loss conditions. After the onset of menopause, thinning of the hair becomes more pronounced; by the age of 50, more than 50% of women may experience hair thinning. Hair loss is something that most of us have to face sooner or later. If you are looking for a 100% natural look nothing beats a hair transplant. Simply put, a skilled physician will move hair from an area of your head that has growing hair, and move it surgically to the thinning or balding area. Once the hair has been transplanted it will begin to grow naturally in the new area. Not all restoration surgeons are created equally. Its not a personal attack on any particular surgeon or business. The facts are the facts. When a hair transplant procedure is done correctly the results are so natural that even your own stylist will not be able to detect it. Thanks to the huge advancement in technology hair loss and its treatment has become a simple outpatient procedure. Most patients are amazed at how little discomfort if any that they experience not only during the process but after the process as well. The cost of a hair transplant will vary depending on your particular situation. No two clients are alike. It all comes down to how many follicles have to be removed and relocated (transplanted) to cover the balding area. The price per graft will also very throughout the industry, and is something that you should discuss during your consultation with your hair loss specialist. Hair loss restoration is hands down the best option as compared to other hair replacement systems on the market. Other systems require constant upkeep and maintenance. This is an ongoing cost to you, for as long as you want to continue to have hair. Most trustworthy hair restoration clinics offer some sort of financing options. Here is a few things you will need to take under consideration when you are searching for a qualified hair restoration clinic. You will want to know how many years the physician that will be performing YOUR procedure has been doing hair transplantations.Ask how many procedures does the surgeon perform in a single day? In most cases the physician will be dedicated to working on a single client all day.Find out if the physician does hair transplants full time or is this something that they do part time.Ask the surgeon to provide a list of names and phone numbers of patients willing to discuss their personal experiences. Patient testimonials will say a lot.See if the surgeon is willing to provide at least a dozen before and after photos. Anyone who is balding from natural or genetic reasons can benefit from hair loss surgery. The key factor is you want to make sure that your balding is occurring in a concentrated area. It is important to understand that not all hair is created equal. There are some cases where an individual that received 2,000 or less grafts generated better results than someone that received nearly 3,000 grafts. The best thing you can do is come in for one of our free hair loss and treatment consultations. We will be more than happy to walk you through each step of the process and answer any of the questions that you may have. There are a number of causes of hair loss. “Androgenetic Alopecia” (AA) also referred to as “male pattern” is the most common cause of hair loss in men. It is genetic and can be inherited from the mother or father. DHT (a testosterone derivative) attacks susceptible scalp hair follicles resulting in miniaturization (decrease size) of the follicles, thinning hair and ultimately bald scalp. Hair loss is progressive through our lifetime. By the time a man is in his 50’s he has a greater than 50% chance of displaying some genetic baldness. (delete the following part of the paragraph in it’s entirety that starts with: “In certain areas of the head, the cells around hair shafts have more 5-alpha reductase (the enzyme that makes DHT). As a result these areas have more DHT and generally demonstrate greater hair loss. What is DHT, you ask? It’s a hormone found in your body that can shrink the hair follicle until it no longer produces visible hair. In men with a family history of hair loss, DHT is believed to contribute to the progressive shrinking of hair follicles and a decrease in the number of visible hairs. In short, if you have a family history of hair loss on either side of your family, you may have an increased risk for male pattern hair loss. By far, the most common cause of hair loss is HEREDITARY. Male Pattern hair loss (MPHL) affects 50 million men in the United States.